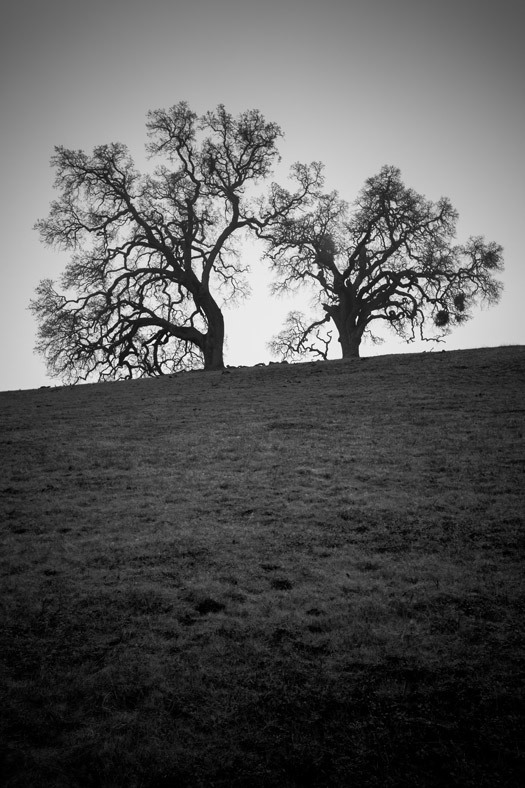 These two oak trees stand alone together on a hill near High Valley Camp in Sunol Regional Wilderness in Sunol, California. The trees' sides that face each other look like they fit together like puzzle pieces. 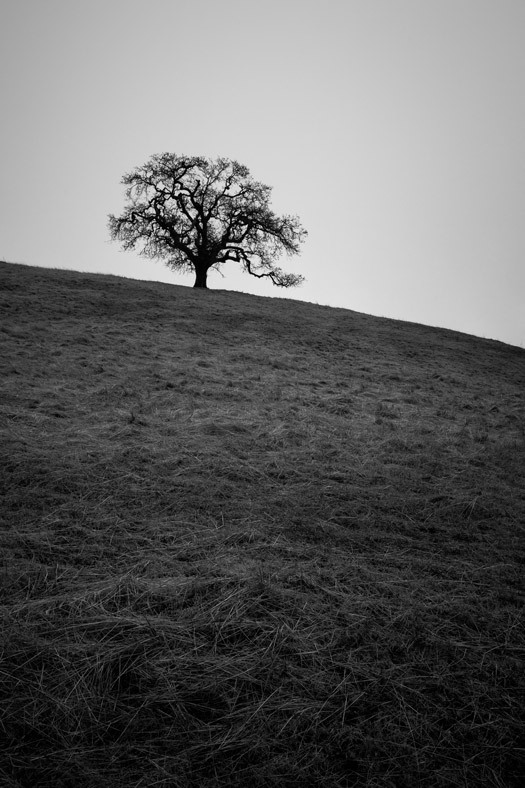 In the San Francisco Bay Area, no park has more "lone tree" shots than Joseph D. Grant County Park in Mount Hamilton, California. The park contains rolling hills spotted with oak trees that have unique shapes. 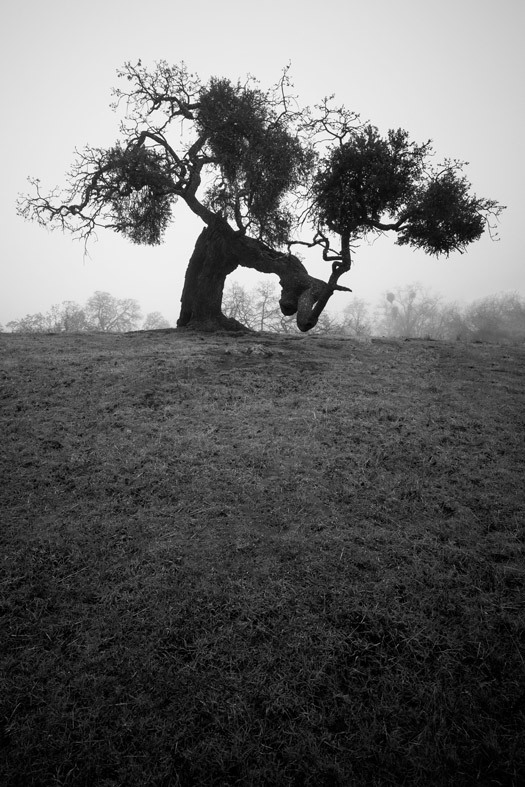 This oak is the most gnarled one I've seen in the park and lies off the Canada de Pala Trail. This oak tree, found off of Canada de Pala Trail in Joseph D. Grant County Park, is my favorite that I've stumbled across. I photograph it each time I visit the park and have most compositions of it by now. 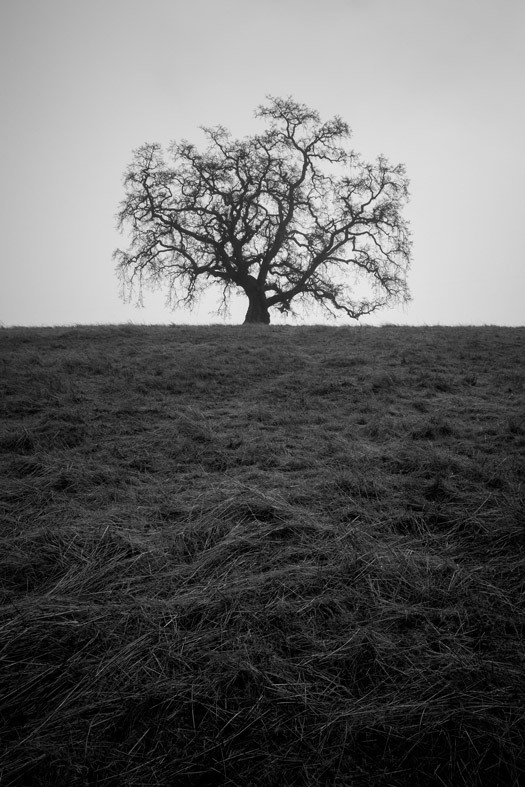 I prefer this portrait version with the tree in the upper-left thirds area. Also found in Joseph D. Grant County Park, this circular-shaped oak is deep into the park near the end of the Canada de Pala Trail. After taking this photo a pack of wild boar passed through.